Arsene Wenger faces a selection dilemma for tonight's Champions League tie with Udinese. Arsenal are without newly appointed captain Robin van Persie who is suspended along with Samir Nasri. Jack Wilshere is also on the sidelines along with Abou Diaby who continues his recuperation from surgery. Sky Sports this afternoon reported Tomas Rosicky had failed a fitness test on a groin injury and will also be unavailable. It leaves our midfield threadbare as we head into one of the most important matches of the season. Wenger could pick from Aaron Ramsey, Alex Song, Emmanuel Frimpong or Henri Lansbury. I expect Song and Ramsey to be starters. Frimpong is the more likely to start over Lansbury but could Wenger switch things around, maybe by using Andrey Arshavin in the role behind the central striker. I expect the back five to remain the same as those who faced Newcastle. Szczesny, Sagna, Koscielny, Vermaelen and Gibbs. The other problem Wenger faces is who he replaces van Persie with. Does he throw in the out of form Marouane Chamakh or does he bring back Nicklas Bendtner from the wilderness to start at the pinnacle of the Gunners attack. Or does the manager use a rotating front three of Theo Walcott, Gervinho and Arshavin. I can't see the manager picking anyone other than Chamakh. It would damage the Moroccan's fragile confidence if he were benched for tonight's tie. It would also cause problems with Bendtner's proposed move away from the Grove. 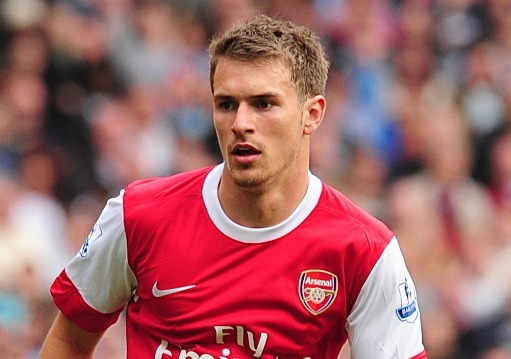 I fancy Aaron Ramsey to score tonight and Bet365 are offering odds of 14/1 for the Welshman to be first goal scorer. Seems like a good punt to take on a £1. You might want to take a look at Coral Sport who are offering a number of decent odds for tonight's game. Remember, if you can't get to the game join us for live text commentary of Arsenal v Udinese, live from 7.30pm with Yankee Gunner and Ashburton Grove with live updates from the Grove.